On Nov. 2, 2012, the latest research paper from the Socionomics Institute, "Social Mood, Stock Market Performance and US Presidential Elections," published in Sage Open, a peer-reviewed journal of the social and behavioral sciences. The paper's authors, Robert Prechter and Deepak Goel of the Socionomics Institute, the late Wayne Parker of Emory University and Matthew Lampert of Cambridge University and the Socionomics Institute, have achieved an important advancement in the study of social mood's influence on politics, and have received media attention from The New York Times, CNN, The Wall Street Journal, Forbes, and many other significant outlets. The "Elections" paper shows a significant positive relationship between net changes in stock prices prior to Election Day and incumbents' chances for re-election. 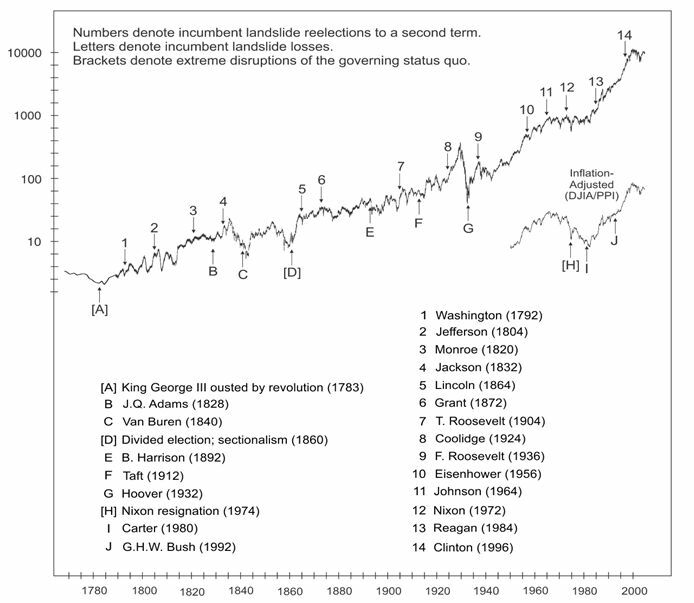 The authors contend that the stock market does not reliably affect elections, and election outcomes do not reliably affect the stock market. Rather, they say, social mood regulates both. To watch a FREE presentation on the paper -- given by Bob Prechter himself -- at this year's Social Mood Conference, simply follow this link. The paper is available for free download from the Social Science Research Network - a vital resource for scholars, researchers and the educated public that currently boasts over 350,000 papers. "Social Mood, Stock Market Performance and US Presidential Elections" is SSRN's 3rd most downloaded paper of the past 12 months and among its top 100 all-time. Download the paper from SSRN here. This article was syndicated by Elliott Wave International and was originally published under the headline The Elections Paper: Socionomics and Politics Achieve Peer Review [Free Video]. EWI is the world's largest market forecasting firm. Its staff of full-time analysts led by Chartered Market Technician Robert Prechter provides 24-hour-a-day market analysis to institutional and private investors around the world.